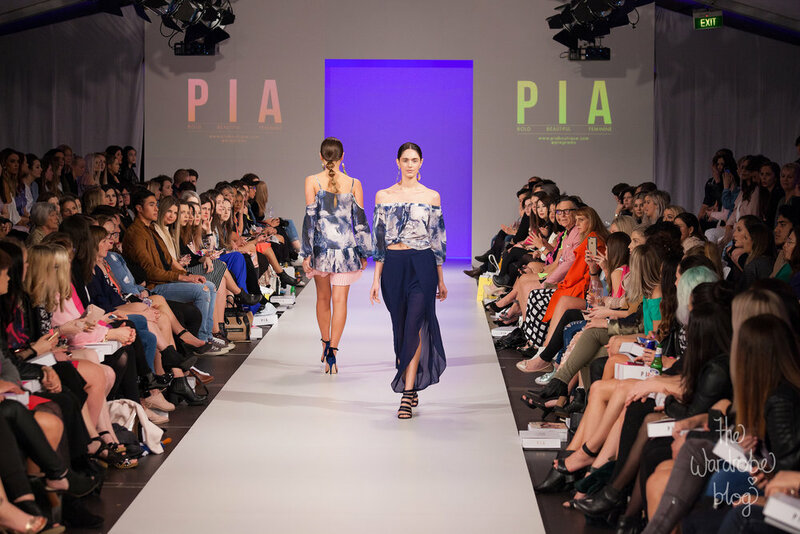 PIA Boutique was the highlight of my experience this year at NZFW. An exquisite array of sequins and sparkle, flowing fabrics and bold prints. There are three words used as the motto for the PIA label and they frame her work perfectly. Bold, Beautiful, Feminine. 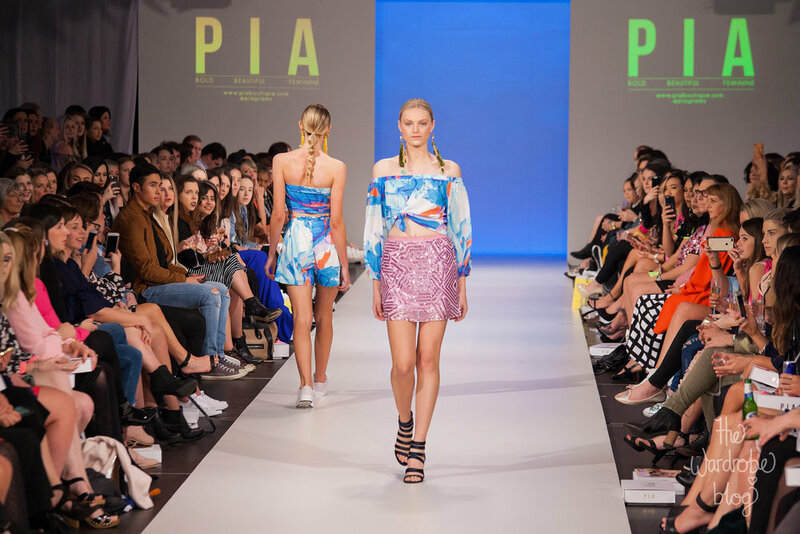 A notable brand now for over 5 years now and made in New Zealand, I have a wealth of respect for Pia Naera, the graphic and fashion designer behind the label. Pia has evolved her aesthetic over the years. 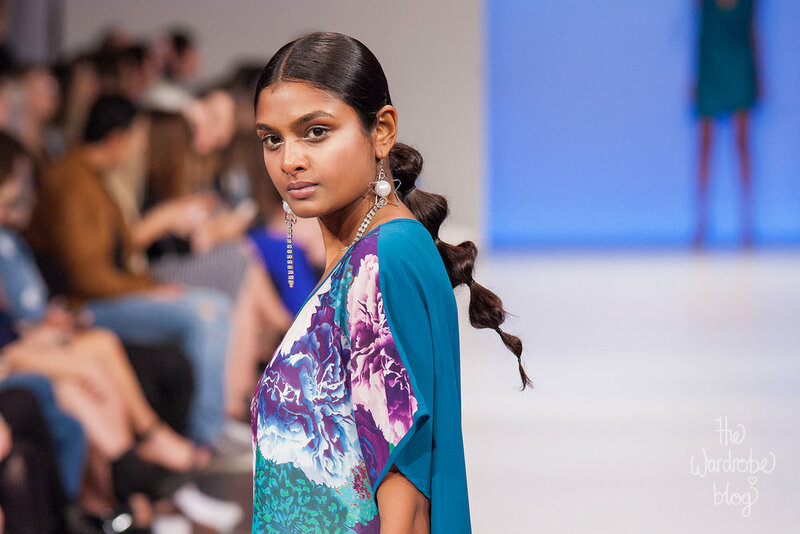 Staying true to the soul of her name, which has always been ready to embrace up and coming key wearable trends on the forefront of NZ fashion. 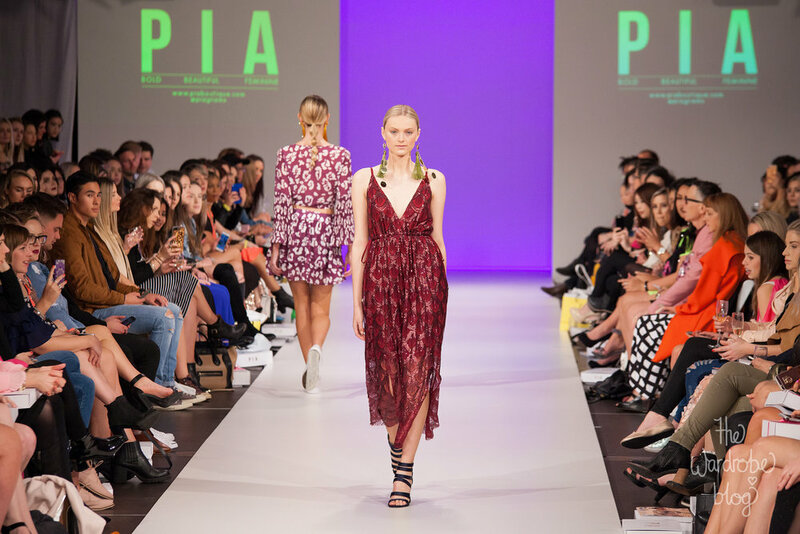 A rich tapestry met our eyes at the NZFW PIA show 2017. One of things I adore the most about Pia’s designs is her love for colour and vibrancy. Even the paler shades of cream and soft pink pieces had bold and striking silhouettes. There was playful contrast in the accessories and dynamic blocks of colour. Emerging throughout the show, the collection gradually unfolded, revealing a number of different colour palettes interwoven within a larger rainbow. Each piece was an experience for the senses, a cohesive exploration of different themes. Pia is particularly strong in her ability to construct garments that have a beautiful wearability. It’s easy to see how they are made for women in new Zealand, and the weather that goes along with our summers. There’s an implicit practicality to her outfits, despite the many dazzling sequins and pops of neon. Ruffles and flares were dotted throughout the show, with an abundance of soft chiffon fabrics, light satin, and sequin embroidered variations. 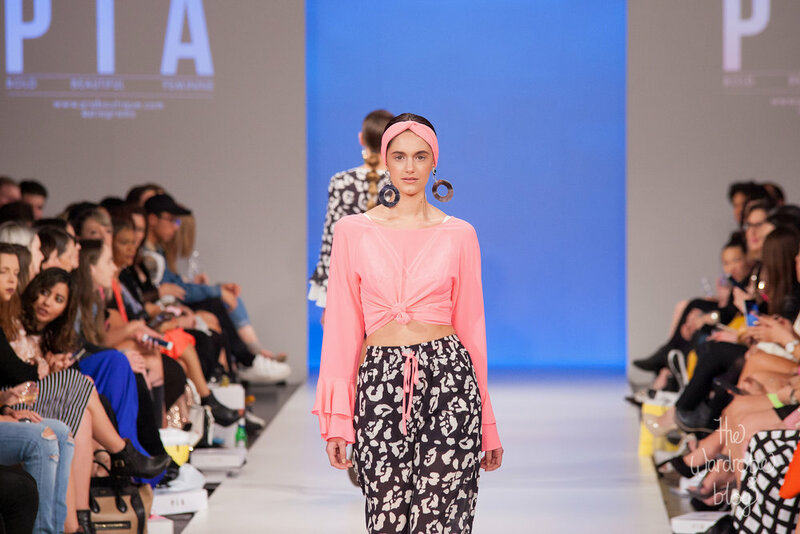 Pia's garments are made to move, and embrace the highlife for the New Zealand summer lifestyle. The fluidity of her designs extends to encompassing the perfect resort wear. Flowing maxi-dresses, roomy tunics, voluminous sleeves and wrap tops are all part and parcel of a larger collection that is made to be worn and loved, season after season. Anyone can imagine themselves in one of Pia's pieces and feel beautiful. Her designs are not overthought nor do they prevent the fashion illiterate among us to admire and respect the authentic style of a PIA girl. Because her collections are so innately feminine, they have an easy on the eye appeal. Standouts were her notable sequin playsuits, a love at first sight option. Likewise were the gorgeous evolution and variety of ruffle based tops, that she became so well known for in the beginning. In this year’s collection they were combined with a wrap styles, cropped waists and longer sleeves. Pia’s maxi dresses both an air of sophistication and a feeling of playfulness. One of my favourites was the deep red sequin maxi, a dramatic head turner and one of the last pieces of the show. Many of the garments have a timeless feel to them, with a number embracing elegant simplicity. There is a saying that more is less, and in a country where style moves often so slowly, and we take on trends with hesitation stepping outside of the current style bubble can be difficult. I thoroughly enjoyed the way that every piece both satisfied my expectations and introduced me to new heights of the bold, feminine, and beautiful. 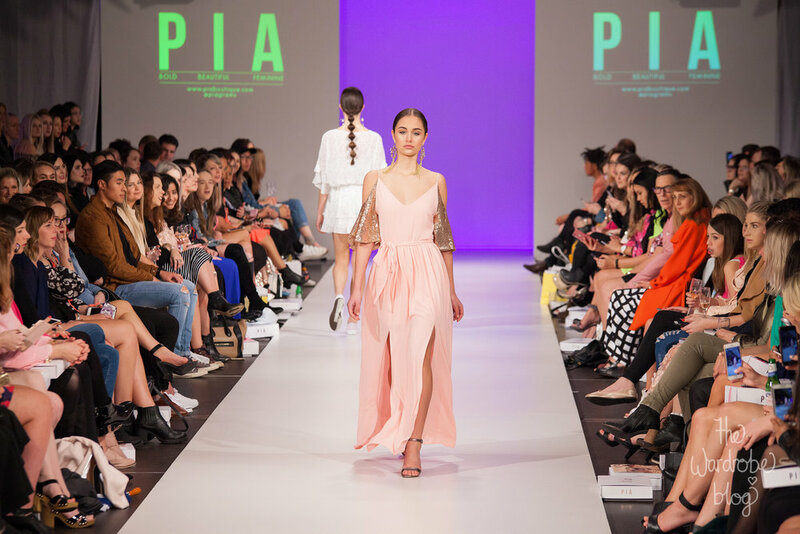 Scroll down below, to view the entire new PIA collection for the upcoming trends of spring/summer 2017.